If you are in the process of creating your first website, like others, your first preference will be WordPress, and there is nothing wrong with it. There is a long list of reasons that authenticate why WordPress is one of the most sought-after website platforms across the world. Some of them are – ease of use, preference by search engines, no HTML editing, built-in blog, provision of having multiple users, etc. However, on the flip side, as per tech experts, all websites on the internet are vulnerable to hacking attempts, and WordPress websites are no different. Now and then we get to hear about a WordPress website being compromised. Faulty plugins seem to be one of the key reasons responsible for WordPress websites getting hacked. While Zero Day vulnerabilities are more serious than known WordPress vulnerabilities, there are various methods one can use to protect against them. This technique uses pattern matching to identify patterns in known vulnerabilities. it can identify known attacks like SQL injection that target products suffering from a Zero Day vulnerability in WordPress. A firewall may be able to protect against the attack because the specific attack type, whether SQL injection, XSS or another type, may be known. They will then alert if traffic or behaviour deviates from that normal profile. For example, if an email user on a protected network receives a message from someone who has never contacted them in the past, the statistical algorithm might flag the email for further inspection. There are various ways to implement this technique, but a common implementation relies on a ‘honeypot’. A honeypot is a machine that is purposely made less secure and is used to detect the presence of hackers when they target that machine with weak security. In this case the honeypot is monitored for any unusual changes. These use a combination of statistical, behavioural and traditional signature based algorithms. They are more effective because they avoid weaknesses in any single detection technique. Version 1.3.9 of the Easy WP SMTP plugin is vulnerable to a security flaw that could allow attackers to set up ordinary subscriber accounts with hidden admin powers or hijack sites to serve malicious redirects. Easy WP SMTP plugin, with 300,000+ active installations, is one of the most popular WordPress plugins. It allows the user to configure and send all outgoing emails via SMTP server. This further averts the emails from going to the recipients’ junk/spam folder. Of late, the plugin was prone to a zero-day vulnerability. As per this, the hacker gains access to make changes to WordPress options or to execute code among other unethical actions. This Zero-Day WordPress Plugin Vulnerability is found in version 1.3.9. As and when a user accesses the admin area, above admin_init()function, from the easy-wp-smtp.php script is run through admin_init hook. This is put into use to update options, view/delete the log, and import/export the plugin configuration in the WordPress database. The disadvantage here is that there is no inspection being done of the capability of the user; therefore any logged in user, for instance, a subscriber, can easily trigger it. But it can also be authenticated by the hackers as Easy WP SMTP uses AJAX and the admin_init hook functions on admin-ajax.php. Note – It is not mandatory that it will run on user-facing admin screens, but it runs on admin-post.php and admin-adjax.php as well. Therefore, a hacker will effortlessly send an AJAX request, for instance, action=swpsmtp_clear_log. This will activate the , and he will execute its code. In this example, swpsmtp_import_settings will be used to upload a file containing a malicious serialized payload. This will facilitate registration of the users (users_can_register) and set the default role (default_role) to administrator in the database. The plugin configuration, comprising of the username & password, SMTP host, could also be exported and used for sending spam emails. Remote Code Execution through PHP Object Injection since Easy WP SMTP uses unsafe unserialize() calls. Deleting/viewing the log or any file name (considering the fact that the hackers can easily make changes to the log filename). Interestingly, the attempts were caught by our firewall. We analyzed and found that the hackers made their best efforts to exploit the vulnerability to make changes to the content of WordPress wp_user_roles option in the database and to give administrator capabilities to all the users. Creating an admin account is easily noticeable in the WP users section, whereas changing capabilities is not easily noticeable. This means, a typical subscriber will appear as a subscriber but can easily carry out all the things an admin is supposed to do. Also Read – How To Change Default WordPress Username? How Does WordPress zero day exploit Controls Vulnerable Websites? We have been tracking various activities, associated with the vulnerability, from two different hackers. As per our extended observation, the attacks were made identically with the help of Proof of Concept (PoC) exploit discussed above. These attacks are pretty much the same as PoC, down to the checksum, and facilitates the users to register administrator accounts by altering default_role to the administrator, and also to enable users_can_register. This is the point from where the campaigns deviate. After this point, the actions of the first hacker tend to stop. This suggests that this particular stage was only an automated step of their process and they are just collecting numerous rogue admin to be used in the later stage. The other campaign persists by making changes to the siteurl of the victim’s website. Home options are also changed to activate harmful redirects whenever the site is being visited; then all PHP files receive harmful <script> tags on the affected website along with string ‘index’ which is already existing in their name. This tends to affect all those files named as index.php. Besides, it also happens to change files like class-link-reindex-post-service.php, which is there in the SEO plugin of Yoast. It has been found that the attacks against this vulnerability are far-reaching, and the worst part is that the successful exploits by the hackers can provide them full control of the website. It is advisable that the users should update their plugins regularly so that security patches can be applied for such vulnerabilities. Easy WP SMTP version 1.3.9.1 tend to prevent unauthorised access to the import script and also curb affected options to include anticipated values only. How To Fix WordPress Zero Day Plugin Vulnerability? There are a plethora of methods using which a thorough check of the website can be done. In the event, your website is being hacked with a harmful script; it is advisable to take a complete backup of the website. In the process of removing the malware from the WordPress website, in case you commit a mistake, the backup will act as your savior. 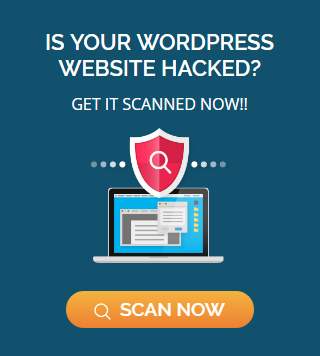 Once you have taken a backup of your website, you are good to go with the website scan using WordPress Malware Scanner. To locate the malicious code on your website, there are various places you can look for. It is practically not feasible to scan the code on each page of the website. In all probability, the hacker may be inside your server. And there might be some places where you require ftp/ftps login details to gain access to all these places to kick off the malware cleaning process. Make sure you check both index.html and index.php. Make sure you run tests, every so often, to ensure that your website is safe from malware or harmful code. This can be done by using any test to falsify you are a user agent or a Googlebot while taking assistance from a Googlebot simulator. Besides, you can also use Fetch As Google from the webmaster console of your website. You also have the convenience of commands that work through SSH client. Important: Fetch As Google tool won’t be available after Mar 28, 2019. Please use the new URL Inspection tool instead. By making use of specific codes, you can have access to the place where the hacking has taken place and further remove the WordPress malware manually. Removing the malicious scripts, that leads to website redirection to the malicious websites, will only benefit you. 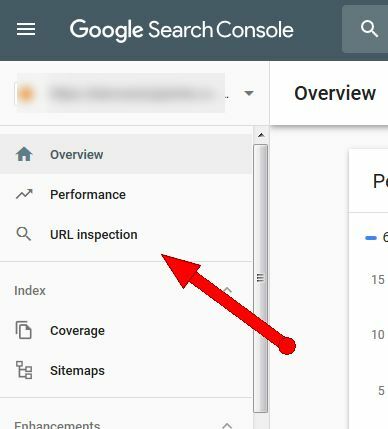 By using together, remove URLs feature, and by visiting Search Engine Console of Google, it is much easier to remove the malicious code with the new pages from SERPs. Besides, you should also update the themes and plugins; this will ensure that you have installed the latest and new core theme. You should also change or reset the passwords. First, you need to Log in to Google search console. Second, you need to verify ownership of your website. Third, you need to click on the website > then Dashboard > and then Security Issue. This is where you will be shown a list of URLs which Google thinks is infected with malware. Once all your websites are malware free, you need to click on request a review. When you have done this, you can add notes in the form of actions you have adopted in the pursuit of removing the malware. We have done in-depth research of this plugin, and the results are quite shocking. As per the WordPress plugin archive, there are over 300,000 active installations at the moment. Besides, the same page also offers data about downloads every single day. We want to say that there is still more than 300,000 websites with this plugin and download counter makes us acquainted with the fact that there are over 200,000 websites still vulnerable. It pays to know that even the most vigilant website owner can be caught unaware and left open to attack. If you don’t have the time or lack the proficiency to manage this vulnerability, you can seek professional services of WP hacked help.